Last January’s devastation of Gaza compelled me to publish the backstory to my cartoon below. My news source for the Israeli attacks was not the U.S. media (who stayed conveniently on the sidelines), but disturbing reports from Doctors Without Borders, who remained in Gaza trying to help the Palestinian people. 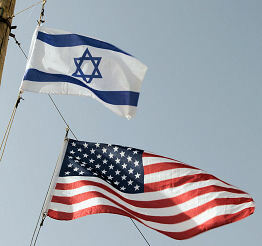 Studies show that many Americans incorrectly believe the Palestinians are the illegal settlers on their own land. I long regarded Frank Rich a champion, whose fearless exposures of moral hypocrisy in our culture and the media rang true. My view changed after this New York Times columnist gave a talk at Cornell University. His candor is refreshing but what does he mean? Is Mr. Rich suggesting that being Jewish precludes criticizing Israel? Is he suggesting that Jewish American reporters, (and more insidiously, publishers) feel compelled to defend Israel? Where is professional responsibility to the American public? My criticism extends beyond the failings of a single reporter. As studies have shown, many Americans believe that the Palestinians are the illegal settlers on their own land. How can we be so poorly informed? And why hasn’t the news media worked to correct this misconception? The answer, some say, is that a conspiracy exists among mainstream media to sift and shape news to favor the Israeli government. Media’s fear, according to this belief, is that a truly informed American people would realize that the Israeli agenda and policies clash with US values and strategic interests. I don’t believe this conspiracy theory. 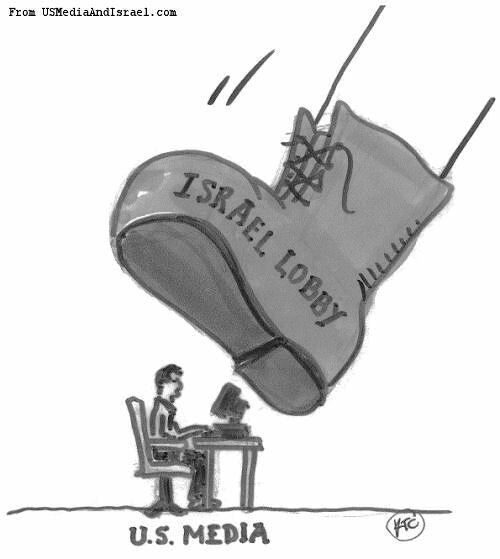 The pro-Israel bias, in my view, is particular to each newspaper, each TV network. Bias manifests itself in a Frank Rich silence, in a reporter’s sensitivity to his editor’s predilections, in a political cartoon first accepted by staff then rejected by an owner/publisher. Taken together, the public is deprived of fact and opinion. “This is the greatest story never told,” as Steve Lendman convincingly demonstrates in his expose of willful bias in the NY Times. The BBC has taken seriously documented reports of a pro-Israel bias in its coverage of the Israeli-Palestinian conflict. The BBC governors commissioned an independent study which concluded that an Israeli viewpoint did, indeed, dominate at the expense of Palestinian concerns. The commission proposed specific remedies to correct future reporting in the Mideast. This effort would never happen in the United States. The honored role of the media in our democracy is to promote informed, public discussion on issues important to our country. “Informed” is the key word here. Full, objective information must be available to citizens to engage in meaningful debate. Mainstream media, by providing only one-sided reporting, suppresses open discussion of Israeli policies and their effect on our national interests. We Americans are living with the consequences. WASHINGTON (USMediaAndIsrael.com) – Last Friday in a special session, Congress passed a bipartisan bill requiring Americans to add Israel’s Star of David to the U.S. flag. Thomas Friedman was once brave. This New York Times columnist and author established his reputation reporting on the Israeli-Palestinian conflict. His early work gave objective accounts of the suffering of the Palestinian people, placed blame for the failed peace talks squarely on the Israeli government, and exposed the undue influence that pro-Israel lobbyists wield on policies of the U.S. government. The cartoon posted on this site has been seen by millions of people from all 50 U.S. states and 137 different countries. I am less interested in the international response (they already know) than in the Americans who swallow whole the pro-Israel bias of the U.S. media. The NY Times, arguably our finest newspaper, prides itself on accurate, balanced, in-depth reporting. However, regarding coverage of the Middle East, the Paper betrays its standards. The incidents reported above demonstrate how its publisher/owner and leading columnists can be co-opted. The “Gray Lady” indeed. If the professional integrity of the NY Times can be compromised by pro-Israel groups, then all our institutional media is susceptible to manipulation. The American people must have accurate and trustworthy news. A democracy demands a well-informed citizenry. The message of this cartoon remains important. 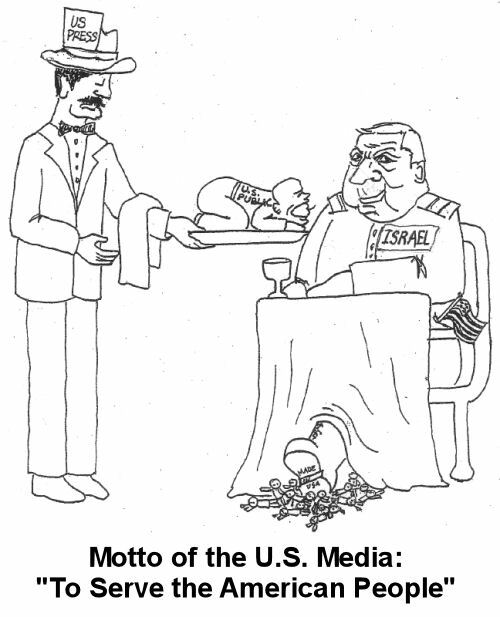 Perhaps six years from now the U.S. media coverage of the Middle East will necessitate another rebirth of this cartoon. And then again six years after that.